There are three components of a guaranteed payout rate from an annuity: (1) principal, (2) interest, and (3) longevity credits. While any financial vehicle can provide your clients with the first two, the third can only be manufactured from a life insurance company. Why? Because they are on both sides of the risk. It may seem confusing at first to clients on how life insurance companies can do such a thing, but the concept is quite easy. In this episode of Money Script Monday, Sal shares a powerful and easy-to-understand story that demonstrates to your clients how longevity credits work within an annuity. Hello. My name is Sal Mendoza and welcome back to Money Script Monday. 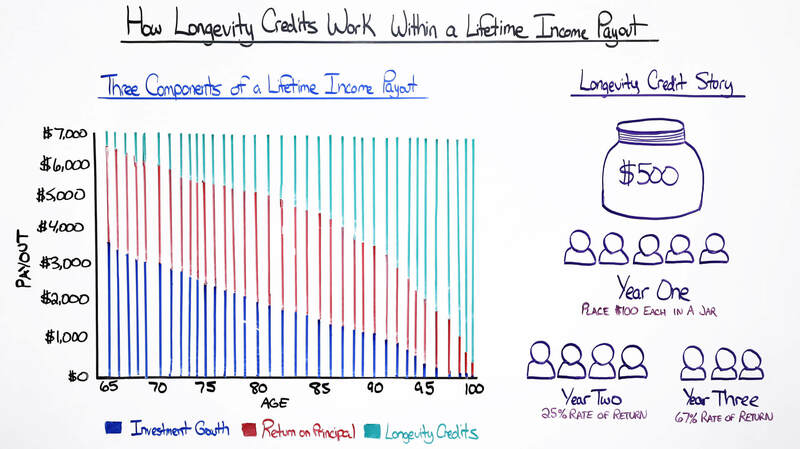 Today, we're going to be talking about how longevity credits work within a lifetime income payout. But before we get started, I wanted to tell you a quick little story about an advisor. We had a conversation about a month ago. He had a client who is 65 years old and she had been working for the same company for 27 years. And she had done a pretty nice job of putting away money. She had some money in her qualified accounts. She had some money in her nonqualified accounts. She was about a few years away from paying off her mortgage. She had about 12 months of liquid assets. And the reason she was meeting with the advisor is that, within a few years, she really wanted to retire and so she wanted to know what the latest instruments out there are that could help her because she was fearful of a few things. One of them was longevity risk, and she was scared because in her family, her mom was still alive and her grandmother had lived to 97 years old. The other thing that she was concerned about was the market. She realized that we've been in a 9.5-year bull run, and she was scared that at some time, very soon between 6 and 24 months, there might be a pretty good pullback in the market. And so she didn't want to lose the money that she had been saving for the last 35 years of her working life. The agent and I were talking and, for us, it was an easy solution. … but annuities sometimes have bad press. People read bad things about annuities and it's really at the end of the day is that they don't understand how the annuities work. So, at the end of the day, what really happened was that she needed around $7,000 of income per month. The first one in here in the blue graph is what we call the investment growth. The red is what we call the return of principal. And then the top one in green is what we call longevity credits or sometimes what we call mortality credits. Now, the interesting thing about mortality credits and longevity credits is there's only one institution that can actually manufacture them, and it is not your broker and it is not your bank, but it is a life insurance company. Once you bring that into the fold when you're talking to the client and you have the annuity illustration there, the client starts to understand how they're getting that $7,000 for the rest of your life. Okay? And we can obviously add features that will increase that payout and there are some other things that we can do. But that's the only part of the story to understand that. The other story is what exactly are longevity credits? We understand that life insurance companies are our only institutions that can actually manufacture them, but what are they exactly? The best way to do that is to discuss the longevity credit story. There are 5 women, they all live in California, they're all 65 years old, and they've known each other since high school. They all went to school together. They separated when they all went to college, then they came back to the same hometown. Some of them got married, one of them did not, but they made it to 65, and they were right around retirement. They decided that they would take a trip to Jamaica. And when they were in Jamaica, they were eating the food, listening to the music, enjoying the beach, enjoying the sunset. And one of the ladies goes, "Hey, we need to do this again." So one of them decides to grab a jar, she opens up the jar, they go to the beach and they decided to put $100 a piece. Each one of them reaches into their purse and grabs $100. They go ahead and they seal it tight, they put it in the sand, they bury it, they get a little piece of paper, 8.5 by 11. They draw themselves a little map and they decide that, "Hey, we're all going to come back here again next year." So that's what they plan to do. They all go back to California, they go back into their regular lives, and a year later, they decide to come back. But unfortunately, one of them doesn't make it back. Sue, unfortunately, had passed away. And so they go back to Jamaica, they pull up the map, they find the jar, they open the jar, and there's $500. Well, there's four of them, so they decide they have two things that they can do. 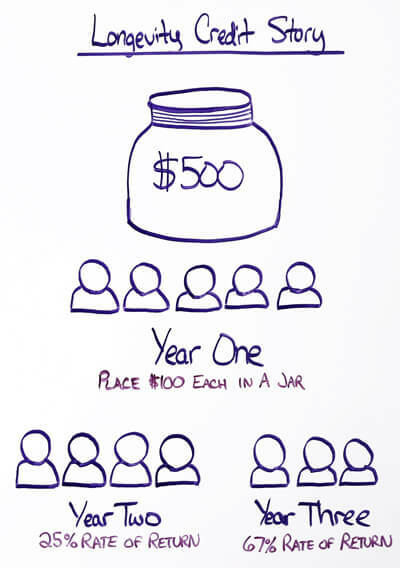 One is that they can split the money at $125 a piece or they can close the jar and they can come back again. They decide that they're going to go ahead and close the jar, bury it, and come back again. But the interesting part about that is in mathematical terms, that's a 25% rate of return. So they all go back to California. The following year, around the same time, they all come back to Jamaica. And unfortunately, Marcia has passed away, so now there's only three friends. And they go to the map, they open up the map, they find the jar, they open up the jar, and they realize that there's more money than last year. Overall, from a mathematical perspective, it's around a 67% rate of return. And that is the story of mortality credits or sometimes what you hear called longevity credits. 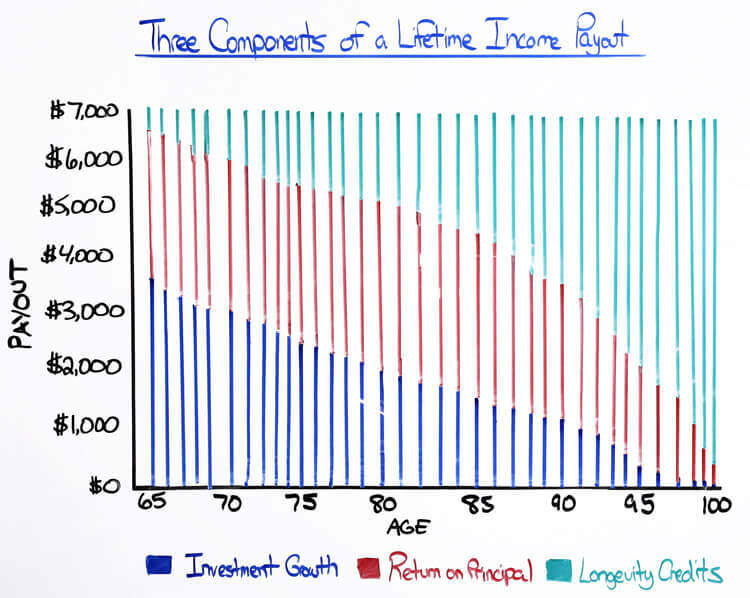 So when you're able to combine the graph and break down the three components of lifetime income payout and then you couple that with the story, it can be quite a powerful presentation. Now, of course, you need to talk about surrender charges and other items of that annuity and the different features, but at the end, the advisor that I opened with started this as the base of his conversation. And guess what? He picked up a nice annuity. My name is Sal. Thank you for showing up to Money Script Monday. Thank you very much. 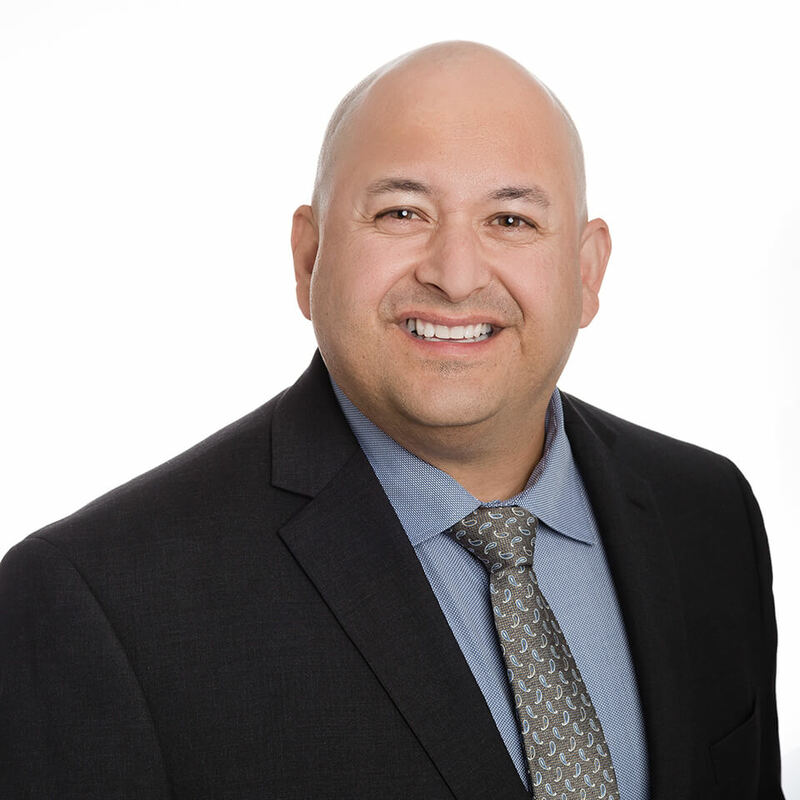 Sal Mendoza is the Vice President of Field Support at LifePro. He coaches hundreds of financial professionals on how to build effective financial strategies that achieve their clients' long term goals and helps them stay educated on the latest industry trends.